We offer 2 options. One is the only hotel in the village with full board (3 meals in the excellent hotel restaurant). The other is a guest lodge comprising private self catering apartments and ensuite rooms with shared self catering facilities. While staying at the guest lodge, it is possible to eat lunches and evening meals at the hotel restaurant. Meals cost £15 for lunch and £30 for dinner and can pre-booked at the hotel when you are there. 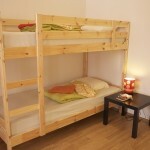 As Iceland food prices are quite high, the self catering option works well as prices in the supermarket are reasonable. 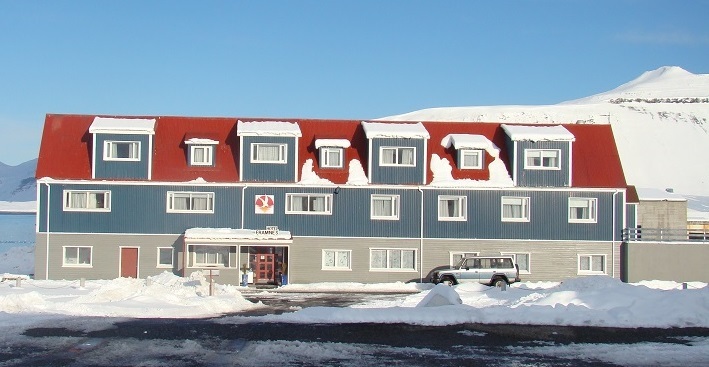 All accommodation is located in a small and picturesque fishing village close to the harbour, surrounded by amazing mountains covered in ice and snow which is centrally located on the Snæfellsnes Peninsula. 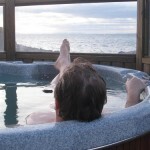 This waterfront hotel with outdoor hot tub overlooking the fjords (the only hotel in the area) is located 3 minutes from the harbour and our boat base with classroom and shop. It has an excellent restaurant serving high quality meals (3 courses) and there is only one other restaurant in the village that has been very poorly rated). 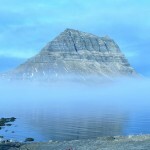 The restaurant serves gourmet seafood as its speciality, as well as sumptuous Icelandic lamb and chicken. The menu also includes meat and vegetarian dishes to satisfy any palate. A scrumptious breakfast buffet is served from 7:00 am to 10:00 am. The restaurant is open from 19:00 – 21:00 in March. The hotel has exceptional views out to the Fjords (and sometimes the Orca can be seen from the hotel). 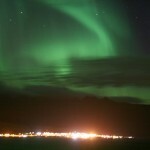 It is also perfectly located for Northern Lights sightings and is surrounded by dramatic scenery. 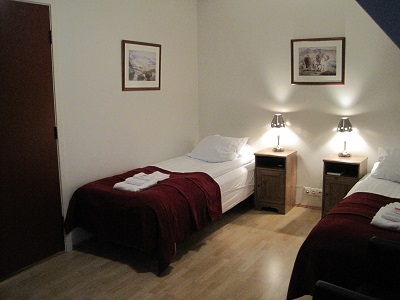 The hotel was originally built as a fishermen´s hostel in 1954 and is now a comfortable hotel for up to 60 people. 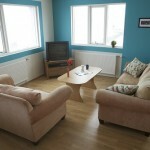 Bedrooms are all en-suite with wifi, tea and coffee making facilities, television and a hairdryer. 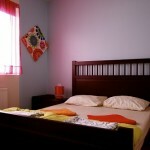 Rooms facing the west have a wonderful view of the mountain range called Hell’s Gate which embraces the village. 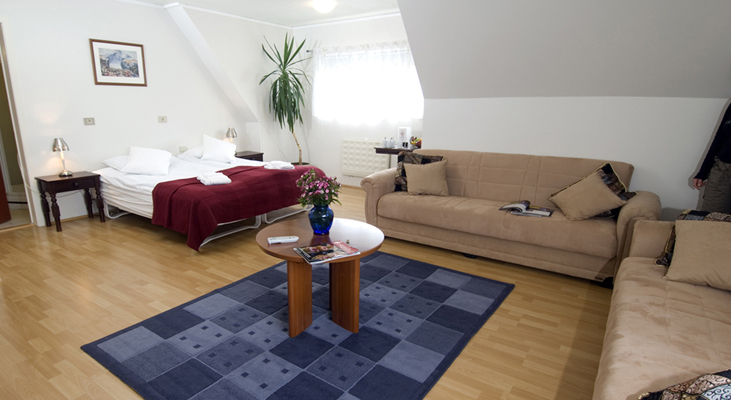 The east-facing rooms have a glorious sea view overlooking the fjord. 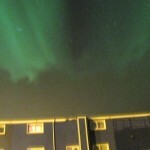 There is a sauna and an outdoor hot dub with fantastic views of the fjord for your pleasure! 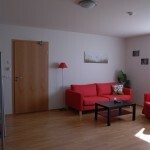 2) Guest lodge accommodation – Private s/c apartments or shared s/c facilities. 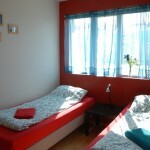 Modern comfortable surroundings with view of mountains and Fjords. 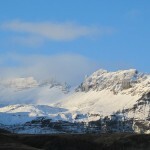 Our comfortable guest lodge is just a 5 minute walk from the harbour and overlooks the mountains. 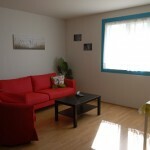 It is newly refurbished. As there is a very limited choice of restaurants in the area, this economical option provides a lot of flexibility. You can choose one of the private self catering apartments sleeping 2 to 4 people or en-suite rooms (double, triple, quad) ideal for families or friends who want to share. 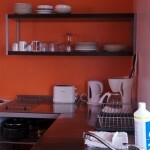 For those in ensuite rooms, there is use of a large shared kitchen and lounge where members of the group can cook together using the fresh produce from the one well stocked local supermarket. 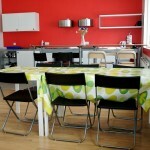 Usually members of the group take it in turns to prepare meals in a relaxed informal way. 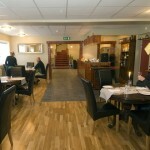 There is an option to eat lunch and/or dinner in the hotel restaurant as food in Iceland can be quite pricey. 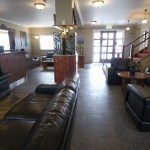 See costs and booking for prices.WIFI and laundry facilities are available and the main lounge has a television.